Herbalife shakes are the products that our company is best known for, and is probably the product that led you to find this page. Herbalife shakes have been helping people to lose weight, manage their weight and live healthier and happier lives for more than 30 years – they were the first product that we started with, way back in 1980. 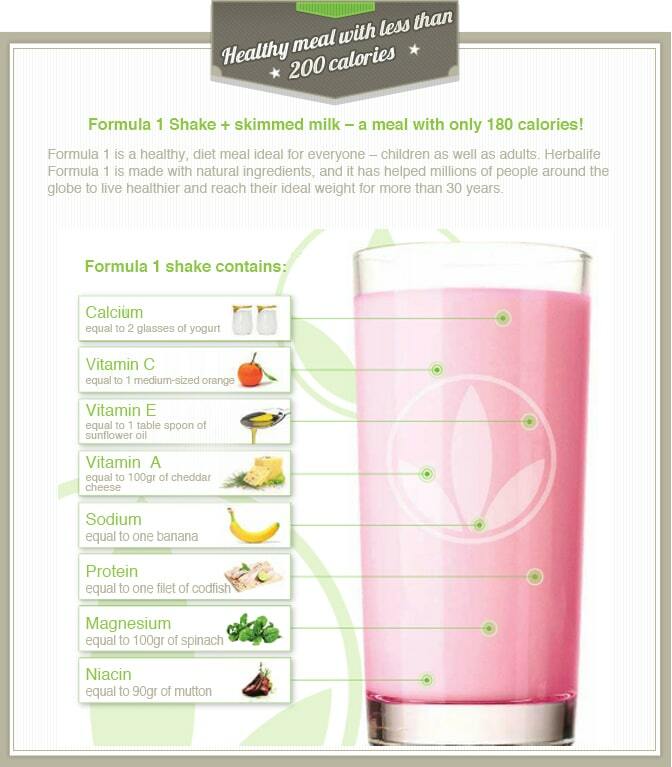 Take a look at this page to find the answers to the most common questions regarding the Herbalife Formula 1 shake. Can the Formula 1 Shake help you lose weight? In a nutshell – yes. 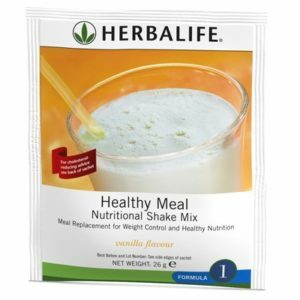 The shake is a calorie controlled meal that is very easy to prepare and can always be on hand. This makes it perfect for people who want are looking for a weight loss program, as it takes away all the hassle from planning and preparing meals. Take a look at the short video below to see just how easy it is to make a complete healthy meal, in less than a minute. 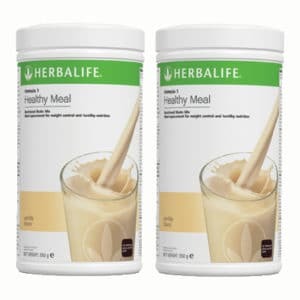 The real secret to weight loss with Herbalife shakes is that you know exactly what you are eating for every meal, and how many calories it has, so it is very easy to maintain a calorie-controlled diet that is the key to successful long term weight loss. 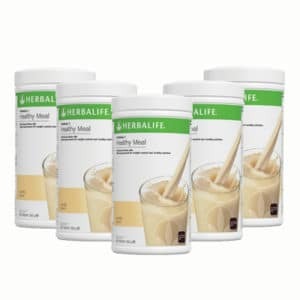 Each shake contains only about 220kCal when mixed with skim milk, leaving you a lot of room to combine your other meals and reach your ideal daily calorie intake. 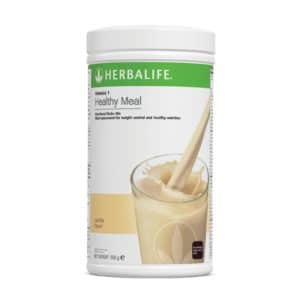 For best weight loss results, you should replace 2 meals a day with the Herbalife shake, and have one regular, healthy meal. You can also have 2 snacks between the meals. 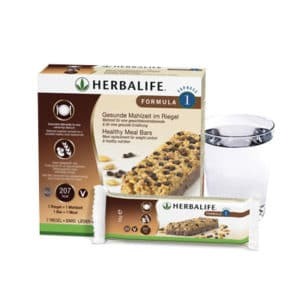 The great thing about the Herbalife shake is that it is a very handy and healthy replacement for the high-calorie meal that you might turn to when nothing else is at hand. The reason that people are overweight is in most cases quite simple – unhealthy daily meal choices, which are made all the worse with the predominance of unhealthy fast food. Once you turn to the correct meals, losing weight will be a breeze. All values represent 2 tablespoons of F1 shake with 250ml of skim milk. The percentages are the recommended daily values for each nutrient. 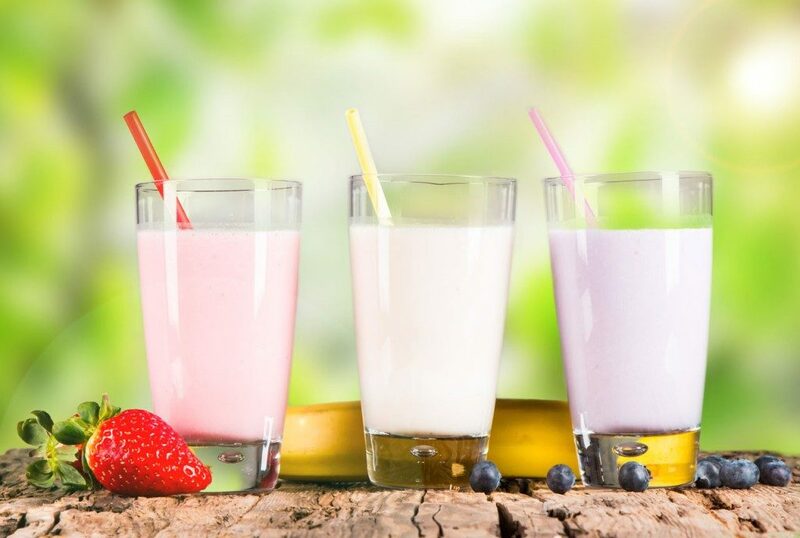 As you can see, the shake is a complete healthy meal that will give you all the vitamins and nutrients you need for a good day – and for a total of only 220kCal. Can additional Proteins Help with Weight Loss? Numerous studies have shown that by having an increased protein intake combined with a low-calorie diet will give much better results than just having a low-calorie diet. Participants were split into 2 groups, both being on a low-calorie diet, with one of the groups eating an increased amount of protein. At the end of the trial, the group that took more protein lost more weight. In fact, not only did they lose more weight, they also lost more body fat, more fat around the stomach, and even had a significantly lower LDL and total cholesterol. 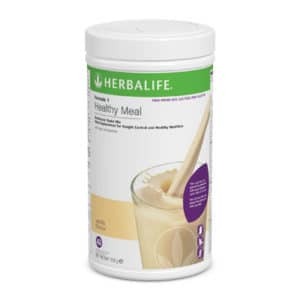 Herbalife shakes provide you with a total of 18g per meal, which is the perfect amount to help you maintain lean muscle mass while helping you to shed unwanted fat. 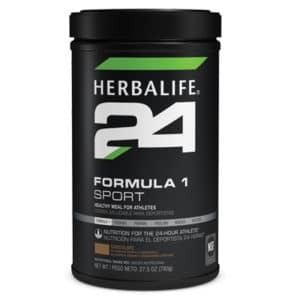 The Formula 1 from Herbalife has been the world’s most popular replacement meal for 30 years for a good reason – it provides you with excellent nutrition in a delicious, easy to prepare shake. Do you have any questions regarding our healthy meals? Send us an email at info@hlfstore.co.uk, go to our contact page or send us a message through our live chat!